Home IT How can managed IT services satisfy Web development needs? How can managed IT services satisfy Web development needs? Both companies new to and familiar with the business arena recognize that having an updated website is imperative to acquiring market share. There are a number of Web developers out in the market, but what perspectives should a managed IT services company bring to the table? Programming skills are one thing, but a solid grasp of concept design and usability must be prevalent. Weighing the pros and cons of outsourcing to a Web designer itself isn't too difficult. 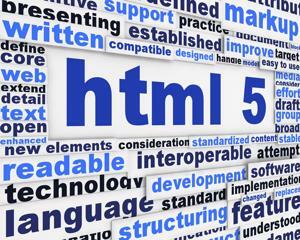 After all, there are few people within an enterprise who have the expertise necessary to make the project run smoothly, let alone know how to work with HTML or CSS. But what should enterprises be mindful of? Creative Bloq contributor Kyle Fiedler maintained that one of the most important aspects of creating sound website designs is usability. If potential customers find it difficult to find specific information and need a service representative to answer their questions, then the layout needs to be reassessed. Above all, it's imperative that enterprises contract a developer capable of conducting website maintenance over a long period of time. If a designer is willing to create a long-term relationship, it's one that will be there when clients need it most. One of the finest of write-ups there is on the internet today. Kudos to the author for being so well informed. I must give it to their presence of mind and the selection of words. This couldn’t have been written in a much beautiful way. Keep it up. Good on you.